The man that created and grew the V8 Supercars Championship into the fourth-largest sport in Australia, Tony Cochrane, has cemented his involvement in what he calls the next big thing in sport. The all-new championship will captivate sports fans by combining what is already the most prestigious supercross event in the Southern Hemisphere in Sydney, the AUS-X Open, with a brand new event that promises to be the largest ever held in New Zealand with the Monster Energy S-X Open Auckland at Mt Smart Stadium on 24 November. Cochrane was inducted into the V8 Supercars Hall of Fame in 2012, credited with taking the sport of touring car racing in Australia from relative obscurity to one of the world’s most recognised motorsport championships. He believes supercross will be the next big sporting spectacle to captivate audiences’ attention in an ever-changing sporting landscape. That he is willing to put his name to it as the chairman of the series is a testament to his faith in its future potential. “Full credit to Adam and Ryan, they have created a truly world-class show and over the next couple of years with their Oceania FIM rights they have great opportunity to grow this in Asia and the Middle East, as well as the expansion into New Zealand, and I know just how much Kiwis love their motorsport! I am very proud to help them grow foreign markets in this exciting sport franchise,” Cochrane said. With the Monster Energy AUS-X Open Sydney event, which is now in its fourth year at Qudos Bank Arena, forming the curtain-raiser for the 2018 championship, the brand-new Monster Energy S-X Open Auckland event and series finale at Mt Smart Stadium will be the first time Kiwi fans get an opportunity to witness the best supercross athletes in the world challenge for the most prestigious FIM-sanctioned crown outside of the United States. In addition to the world’s best supercross racers, each championship event features the best in international FMX stunts, stunning pyrotechnics, live music and concert-like entertainment values. Series co-founder and director Adam Bailey stated that an unwavering focus on spectator entertainment is the cornerstone behind the series’ creation and international expansion for 2018. 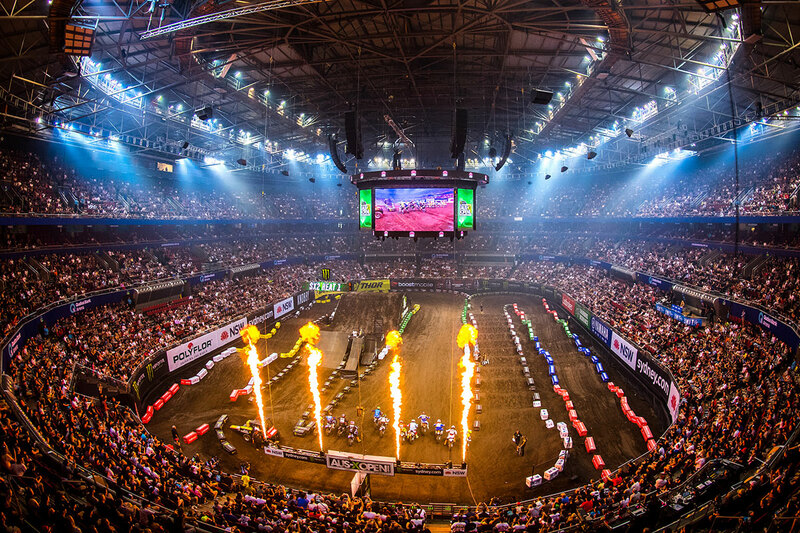 “Since the inception of the AUS-X Open in 2015 it has always been our goal to expand into overseas markets, so it is fantastic to be able to finally announce the Monster Energy S-X Open in Auckland and all-new FIM Oceania Supercross Championship,” Bailey stated. The move to expand from a one-off event in Sydney to international championship status is a huge one, but series co-founder and director Ryan Sanderson says the timing could not be better to make the move across the ditch. 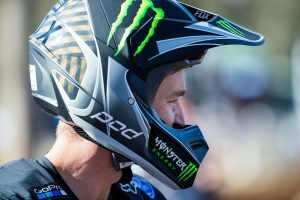 “After three years of growth in Sydney and a growing international audience, the timing for expansion and to announce the 2018 Monster Energy S-X Open Auckland event is perfect,” Sanderson said. 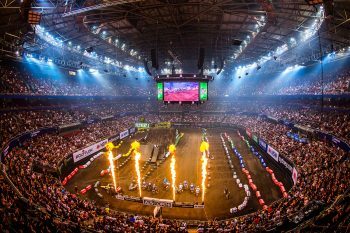 “FIM Oceania is thrilled to be working with these two truly international events and to be sanctioning the FIM Oceania Supercross Championship. 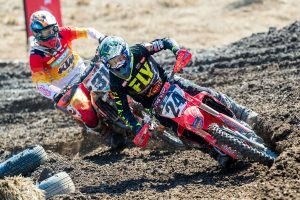 We look forward to seeing some of the world’s greatest supercross riders battling it for the prestigious FIM Oceania Supercross championship trophy.” Williams said. With a full lineup of international heavyweight athletes set to be announced, fans are urged to register for access to pre-sale tickets, before they go on-sale to the general public via www.sxopen.com to avoid disappointment. For further information and tickets to this year’s Monster Energy AUS-X Open Sydney visit www.ausxopen.com.